Welcome to June’s addition of What Your Therapists Are Reading. We have got a great list for you this month. Novels that address mental health and some self-help. These all seem like great reads to pick up for some summer reading at the beach. We would love to know some of your thoughts, so feel free to leave it in the comments. A Kafka-esque story about a man who can go into a room at work that no one else can see. A view through the lens of a paranoid, delusional and obsessive-compulsive man. You can connect with Natasha Daniels, LCSW at www.anxioustoddlers.com or at www.hillchildcounseling.com. You can also connect with Natasha on Facebook. Staying Together When an Affair Pulls You Apart by Stephen Judah, PhD. I see many individuals and couples who are seeking counseling to heal and move forward from an affair, so this book has been a valuable resource to me as a clinician and to my clients. Dr. Judah does an excellent job describing the phases in a relationship that build up to an affair and the phases of repairing afterward. This books helps address the concerns of post-affair couples who are wondering, “Are we in the right place?” or “Are we doing everything we should be doing?” You can connect with Carolyn C. Ferreira, PsyD at www.cascadepsychbend.com or on twitter. 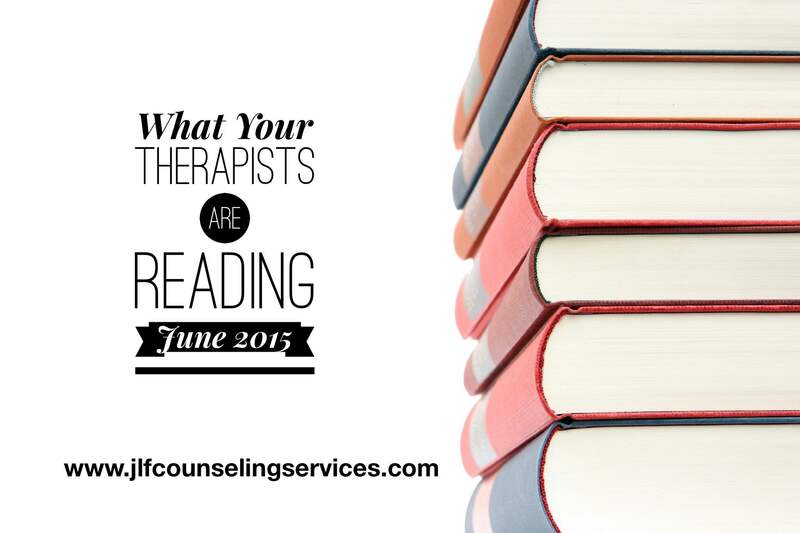 Thanks for taking the time to read What Your Therapists Are Reading for June 2015. We do this every month and hope that you have found it helpful. Don’t want to lose the list, remember you can “Pin” it on Pinterest. If this is your first time stopping by, don’t worry, you can read January, February, March, April and May. Please note this is for educational and informational services only. If you need a therapist, please find one locally.